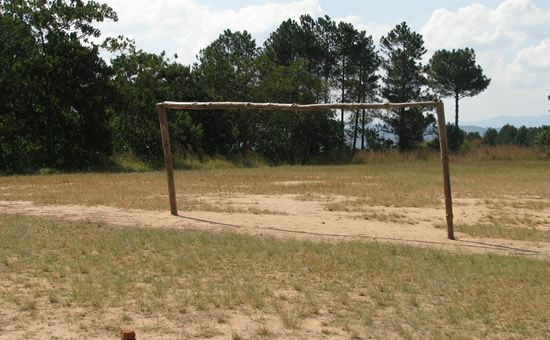 The Viweme Village is located about 45 minutes outside of the town of Mzuzu. Mr. LV Chimaliro is the chief of Viweme Village. The village itself contains approximately 200 people. 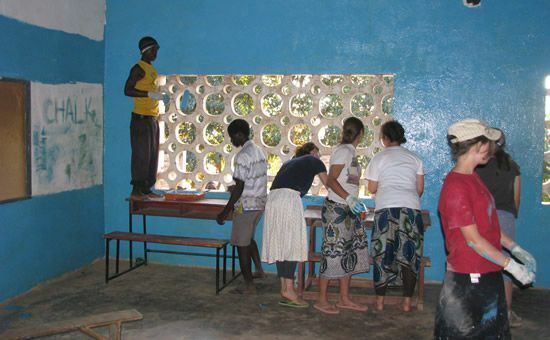 As the Africa Bags project expands, people from surrounding villages may join in to work with the people of Viweme. Viweme Village was one of the first villages partnering with Africa Bags, with the relationship starting on May 7, 2007. The main source of income for Viweme is through subsistence farming. The village crops include maize (corn) and potatoes. The first dairy cows in the Mzuzu area were brought to Viweme in 1976. Africa Bags short term goals are to help the community of Viweme in their battle against malnutrition, malaria, and the HIV pandemic. In May of 2009 we lost Vera, one of the leaders of the Viweme sewing group. She had sickle cell anemia, came down with Malaria and passed away. This was devastating to the project and especially to the sewing group at Viwmeme. 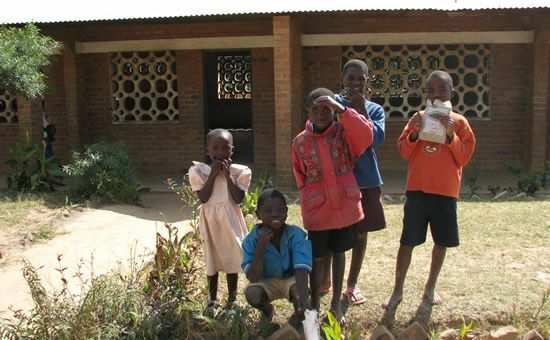 Viweme has recently started a village day care center with some proceeds from bags sales. This day care center is used to help take care of orphans and other young children during the day when many adults are making bags or working in the fields. 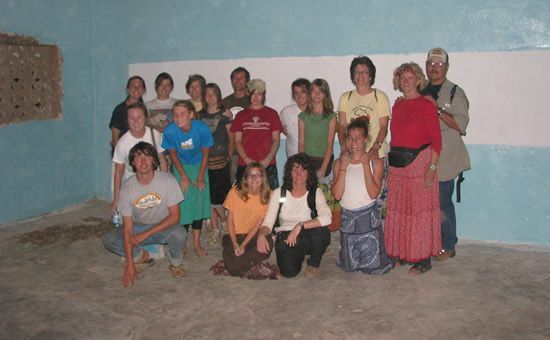 During the summer of 2009 the group began making bricks for a community center that could be used for the day care, Africa Bags production, and other meetings. We hope to have the center completed in 2010. 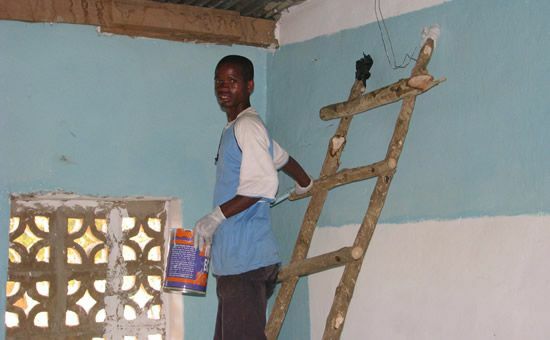 You can donate to this Community Development Center for as little as $10. Viweme Village has also started a village savings and loan program. A portion of all money from bags sales is put into a group savings account. Members of the Africa Bag program are able to borrow money from the savings account at a reasonable interest rate. This motivates the rest of the members to come and join the program. This type of micro-loan is a great safety net for those making bags. It may also provide financing for other small business start ups. This year most of the members of Viweme that are working with Africa Bags have been able to by government subsidized fertilizer. This fertilizer can increase crop yields by up to 50%. This is a great example of helping the Malawians to help themselves. Increasing crop yields is a great first step in reducing hunger in Viweme. This year the village will plant a group garden. The extra food grown in this garden will create food security and can also be sold to provide extra income to the group.